The Companion covers key topics such as the origins of experimental psychology; folk psychology; behaviorism and functionalism; philosophy, psychology and neuroscience; the language of thought, modularity, nativism and representational theories of mind; consciousness and the senses; dreams, emotion and temporality; personal identity; and the philosophy of psychopathology. For the second edition six new chapters have been added to address the following important topics: belief and representation in nonhuman animals; prediction error minimzation; contemporary neuroscience; plant neurobiology; epistemic judgment; and group cognition. 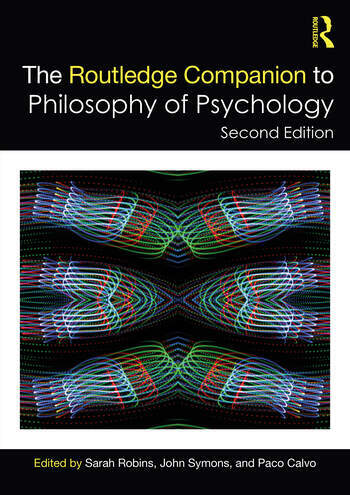 Essential reading for all students of philosophy of mind, science and psychology, The Routledge Companion to Philosophy of Psychology will also be of interest to anyone studying psychology and its related disciplines. 48. Group Cognition Deborah Tollefsen and Kevin Ryan. Sarah Robins is an Associate Professor of Philosophy and Director of Graduate Studies at the Department of Philosophy at The University of Kansas, USA. John Symons is a Professor of Philosophy at the Department of Philosophy at The University of Kansas, USA. Paco Calvo is Professor of Logic and Philosophy of Science at the University of Murcia, Spain, and PI of the Minimal Intelligence Lab (MINT Lab).